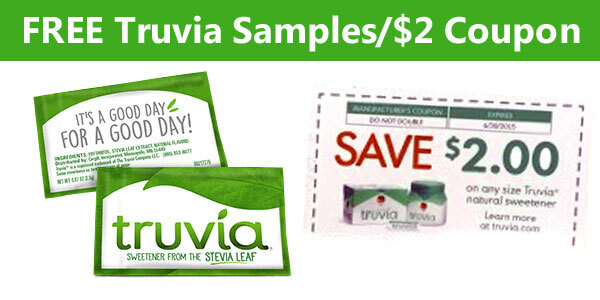 Sign up today to receive a free sample of Truvía Natural Sweetener OR a $2.00 off Truvia coupon redeemable on any Truvía product! Stevia leaf extract is a key ingredient in Truvía® Natural Sweetener. The sweet components of the leaf are extracted and purified to create stevia leaf extract. Each delicious taste contains extract made from the best tasting part of the stevia plant. Please Note: if you have already requested a Free sample, you will not be eligible to request a $2.00 off coupon. Likewise, you will not be eligible to request a Free sample if you have already requested a $2.00 off coupon.